The old saying goes: no hoof, no horse. This holds true for cattle as well. Staff from the American Angus Association explained the importance of and the proper procedures for foot scoring cattle at Angus University workshop sponsored by Merck Animal Health during the Angus Convention Nov. 3-5, 2018, in in Columbus, Ohio. Tolbert compared the foot structure of cattle to the foundation of a building. He explained how producers sometimes forget to go back to the basics of cattle evaluation. If you cannot measure something, it is hard to manage. This is where foot scoring comes into play for producers. When evaluating foot angles, it is important to look at length of the toe, depth of the heel and set, or angle, to the pastern. Foot score is measured on a scale of 1 to 9. The ideal score for both angle and claw set is 5. Scores should be taken on a hard, flat surface. Concrete is preferable. 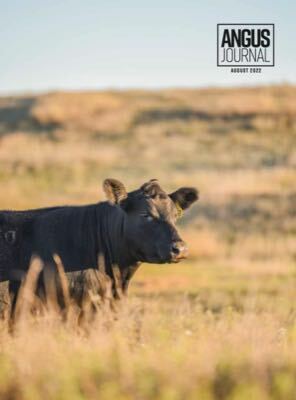 Foot scores can be tough data to collect but it is imperative to the success of the newly updated expected progeny difference (EPD) for foot score intended to launch in January 2019 from Angus Genetics Inc. (AGI). By adding variation, accuracy of the EPD will increase. Of the 5,000 sets of data collected on mature cows, very few scored on the lower end of the scale (1 to 4). The audience shared their concerns with Retallick about selecting for progressively smaller foot scores. They worried this would take them below the ideal foot score and into the undesirable 1 to 4 scores. “Since we are not using those scores in the calculation, this EPD will not set you up for failure,” Retallick said as she explained how an increase in 1 to 4 foot scores meant a new EPD for that side of the scale would need to be developed.